Find my Products on Redbubble! Yes, you read that correctly! The new UK's only independent rat magazine is available now and guess who's featured in the first issue?? Hot Topic! Get expert advice on what to do if rats bite and reasons why they might! Q&A with exotic vet and lecturer of Exotic Species and Small Mammal Medicine and Surgery at the Royal Veterinary College! Our nutrition expert gives advice on feeding for healthy body and mind. GIVEAWAY! A rat art print for every reader! We find out about Duncan and George's lead and harness adventures! COMPETITION! Win a cusomised rat pendant! 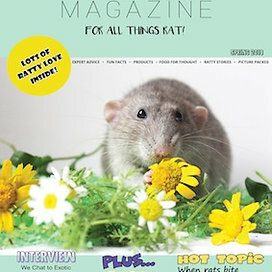 And lots more rattie love, stories and pics to enjoy! The art print giveaway is one of my art prints! So if you want to get a ratty fix and get your paws on one of my prints go buy the magazine now! The magazine is available in both digital and printed formats so something for every budget and is available world wide! So if you want to get yourself a copy follow the link below! My little fuzzy dude. Riley is my big squishy teddy bear of a chocolate labrador. He's really the boss who keeps me working when I'm trying to hide and of course he's always there as stress relief. 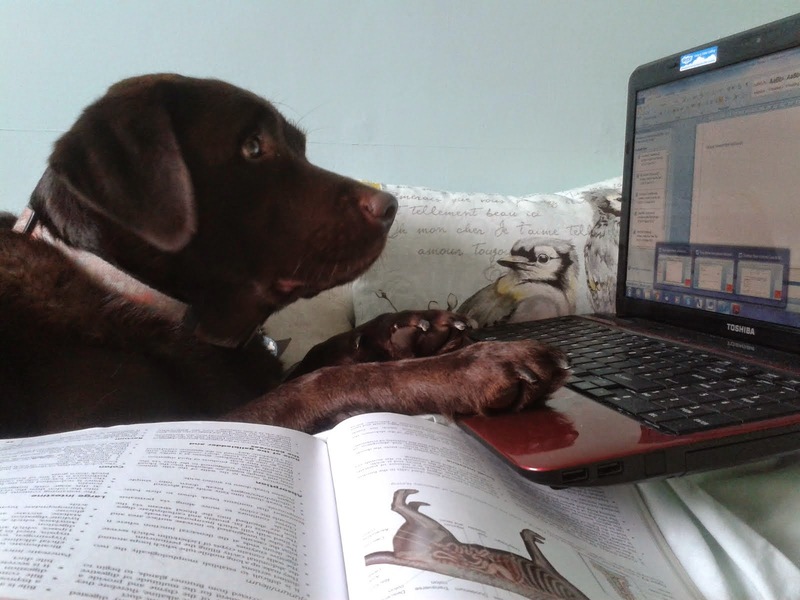 He even has moments of trying to do my work for me! All works featured are copyright to Siobhan Beer. Simple theme. Powered by Blogger.